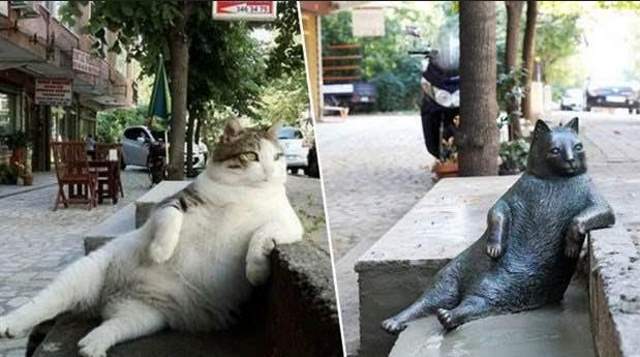 Now, a sculpture created in memory of Tombili, created by sculptor Seval Şahin, and it will be inaugurated on October 4 on World Animal Day, in the same place where the famous photo was taken. Rest in peace, Tombili! You’ll never be forgotten. A sculpture created in memory of Tombili, created by sculptor Seval Şahin, and it will be inaugurated on October 4 on World Animal Day, in the same place where the famous photo was taken. It seems Tombili’s friends has already started visiting the memorial.